There’s been enough criticism of the Hall trade so I don’t really need to get into all of the details, but an aspect of that trade which is undervalued by fans is the cap space it created. That Larsson contract is a real beauty and shaved right around 1.84M off the cap. Then in today’s trade with Yakupov the Oilers clear another 2.5M off the cap. The Hall trade was followed up with a long term contract for Milan Lucic which was not going to happen if Hall was still on the team with his 6M cap hit, and the trade today will likely be followed by the signing of Kris Russell tomorrow. 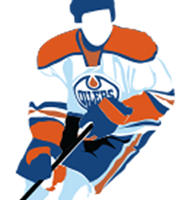 Word is that the Oilers will announce the Russell signing tomorrow and it’s believed the deal is worth 3.1M per season. To be completely honest I’m not a big fan of Russell and don’t really see the signing as a positive. The Oilers are a bit desperate to get a right shot D man who can run the Powerplay, but Russell is a lefty and I don’t see how he can help much on the powerplay. He has however played in 573 NHL games which is sort of a big deal for a team lacking NHL experience on the back end like the Oilers. Jason Gregor put together a great scouting report on Russell back in May and gets analysis from a former player, 2 scouts and Craig Button from TSN. Read it here. At the end of the day I don’t like the trade a whole lot. I think Yak was set to have a pretty productive season now that the Oilers could have played him with a good C in the top 9, but its difficult to assess these trades when a large part of the decision is based on clearing cap space to sign another player. Some fans and media will likely frame this as Yak for Russell, Pochiro and a pick. The pick is reportedly a 3rd rounder in 2016 but moves to a 2nd rounder in 2018 if Yak can manage to score 15 goals this coming season. I’m sure Chiarelli really pushed to get a 2017 2nd rounder to replace the pick the Oilers need to give up to Boston as compensation for signing Chiarelli to begin with but alas he fell a bit short :(. What Does This Mean For The Oilers Roster? Thats not a bad group but honestly without Yak we lose a lot of depth on the RW. I don’t think Puljujarvi is ready for the NHL yet and he should be given time to develop in the AHL but I don’t think he’ll get it if there is an injury to a top 9 RW or C.